ทำไมจึงแนะนำในปริมาณ 2 เม็ด และ 1 ซอฟท์เจลต่อวัน? Q. What is the difference between TheraNatal Complete and TheraNatal One? TheraNatal One contains the most essential nutrients for pregnancy, in one easy-to-swallow softgel. Q. How is TheraNatal Complete different from most other prenatals? TheraNatal Complete is independently tested and certified by NSF® International for content accuracy, purity and freedom from contaminants. The DHA softgel is also tested and certified by the International Fish Oil Standards (IFOS) program for freedom from mercury, PCBs, and other contaminants. Q. 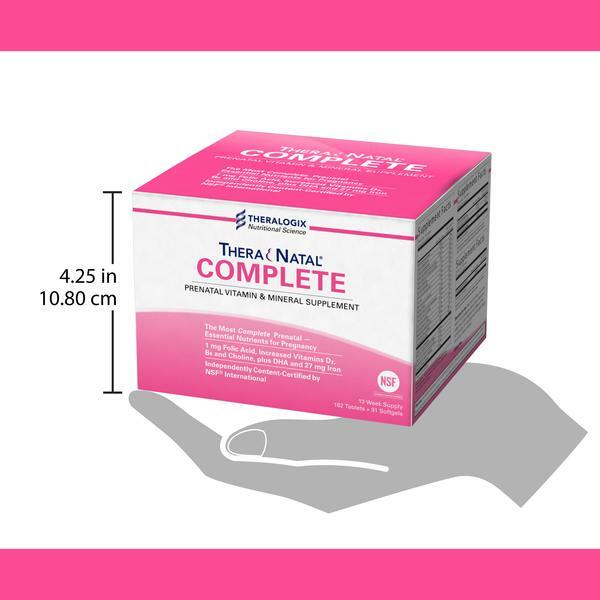 Can I start taking TheraNatal Complete before I am pregnant? Yes. 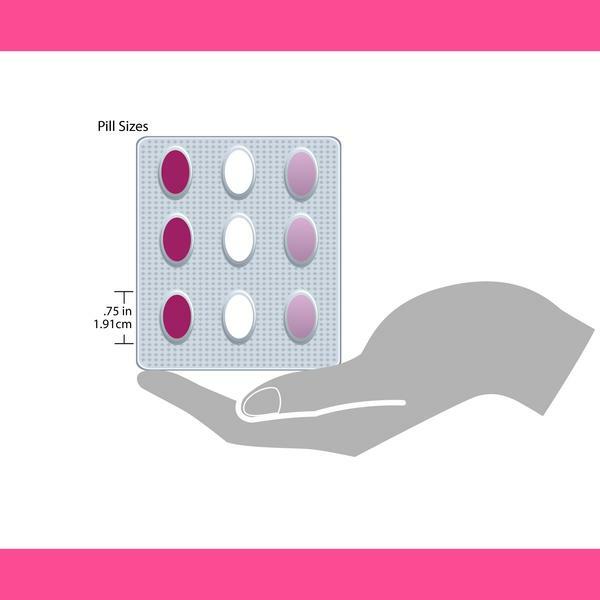 While the 27 mg of iron and 300 mg of DHA in TheraNatal Complete are most important once you are already pregnant (in particular, for the second and third trimesters), it is safe to take these amounts while you are trying to conceive. Q. Can I continue taking TheraNatal Complete after pregnancy? You can, however, it is not recommended for long-term use after pregnancy. 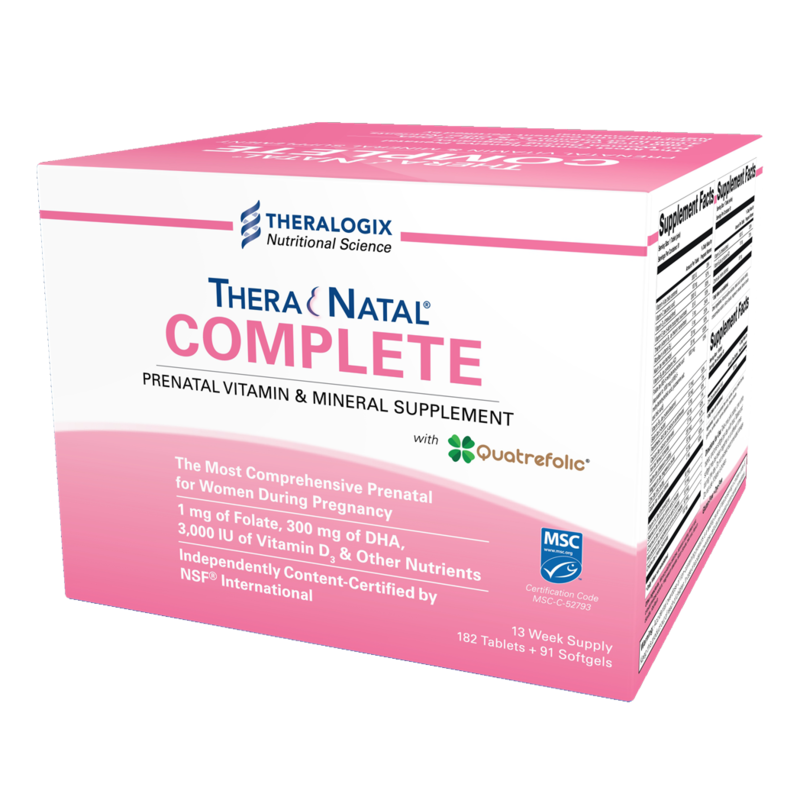 In general, women can finish taking any remaining TheraNatal Complete after pregnancy. If you are planning to breastfeed, TheraNatal Lactation products are specifically formulated to meet your unique nutrients needs while breastfeeding. If you will be breastfeeding for at least several months, it is better to switch to either TheraNatal Lactation One or TheraNatal Lactation Complete while breastfeeding instead of continuing with TheraNatal Complete. If you are NOT planning to breastfeed, you can switch to a women's multivitamin like Essentia once you finish taking TheraNatal Complete. Q. What is the source of DHA in TheraNatal Complete? 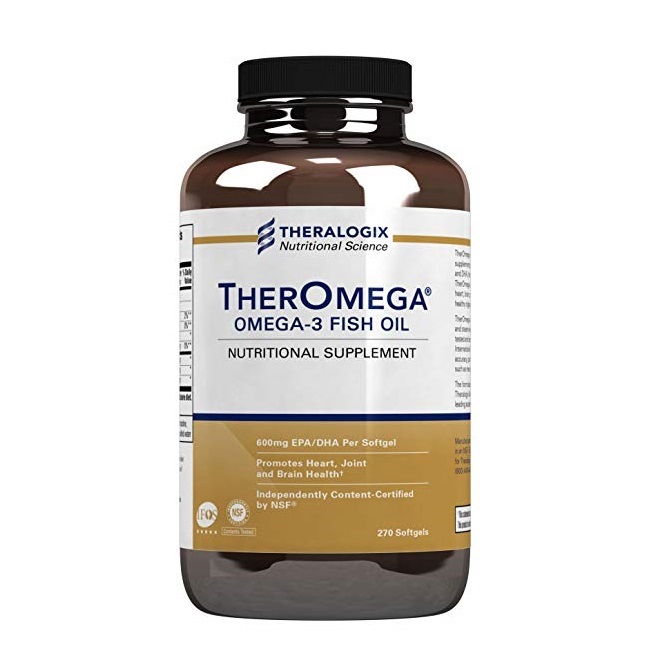 TheraNatal Complete contains 300 mg of DHA from AlaskOmega®, a refined omega-3 fish oil concentrate made from fish that has met the Marine Stewardship Council's (MSC) standard for sustainability. 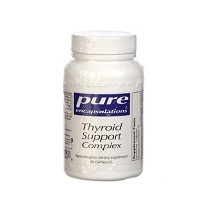 This high-quality fish oil is molecularly distilled, highly purified, and sourced from wild Alaskan pollock. Every batch of DHA softgels in TheraNatal Complete is tested for freedom from contaminants such as mercury, lead, and PCBs by the International Fish Oil Standards (IFOS) Program. The DHA softgels in TheraNatal Complete have received the highest rating of 5 stars from IFOS, which indicates exceptional quality, purity, and safety. Q. Can I take other nutritional supplements along with TheraNatal Complete? Yes. Certain other supplements can be taken along with TheraNatal Complete (such as single-nutrient supplements like calcium). However, do not take any type of multivitamin or other prenatal while taking TheraNatal Complete. Q: Can I take TheraNatal Complete if I'm allergic to shellfish? Yes. There is no shellfish in TheraNatal Complete. If you have reacted to radiocontrast material or antiseptics which contain iodine, you may still be able to safely take TheraNatal Complete even though it contains iodine. These reactions are commonly confused with sensitivity to iodine or shellfish, though studies have shown that they are not related. Q: Can I take TheraNatal Complete if I'm allergic to fish? If you are allergic to fish, the highly purified fish oil in the softgel, which is derived from Alaskan pollock, may not be safe for you. Consult your allergist before taking TheraNatal Complete DHA softgel. Q. 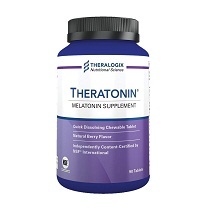 Does TheraNatal Complete interact with any prescription medications or other supplements? Yes. TheraNatal Complete may affect the absorption of certain prescription medications. 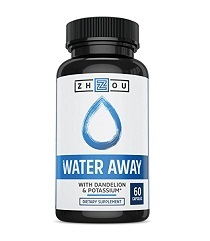 Coumadin(warfarin): Studies show that the low dose (100 mcg) of vitamin K is unlikely to affect INR, and may actually help stabilize INR levels. Do not take TheraNatal Complete with other multivitamins or prenatal vitamins. If you take a single-nutrient supplement (such as calcium), check your total intake from all supplements, including TheraNatal Complete, to ensure you do not take more than the safe upper limit of the nutrient.